Who doesn’t need a pick-me-up while in Vegas? Well, look no further than your convenient local Starbucks. 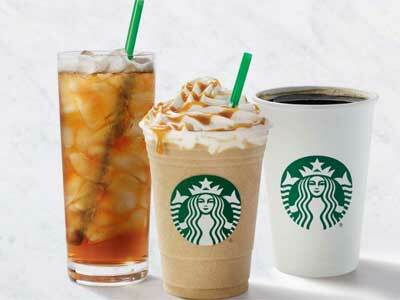 Enjoy your favorite Starbucks when at the Luxor. Starbuck’s world famous brewed coffee, handcrafted espresso beverages, indulgent Frappuccino®, ice blended beverages, tantalizing Tazo® tea and whole bean coffee are only steps away. What else do you need to know? There are 3 locations to choose from. Atrium Level open 7 AM – 9 PM; Casino Floor West open 6 AM – 2 PM; and the Casino Floor East open 24/7. Stop in for your favorite pick-me-up anytime. There are also pastries to choose from to satisfy your hunger pangs.